The picture below started this post. 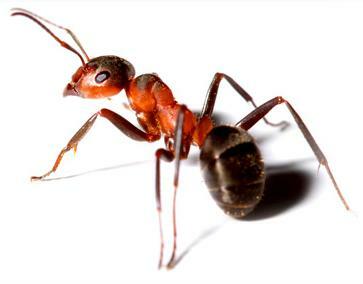 It is a picture that shows up prominently high on a google image search for ‘fire ant.’ It is also, very clearly, not a fire ant. 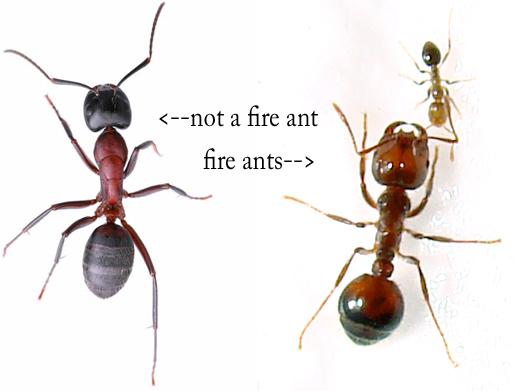 Granted, I spend an unhealthy amount of time getting stung by researching fire ants, and might be presumed to be a bit more familiar with fire ants than the layperson. 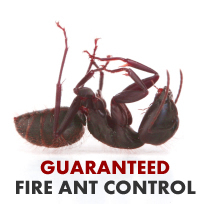 However, the people who oh-so-proudly and prominently displayed this picture next to a guide for identifying and controlling fire ants were a pest control company, and one could wish that these people would also be a bit more familiar with fire ants than the layperson, particularly as they have taken it upon themselves to educate the public. 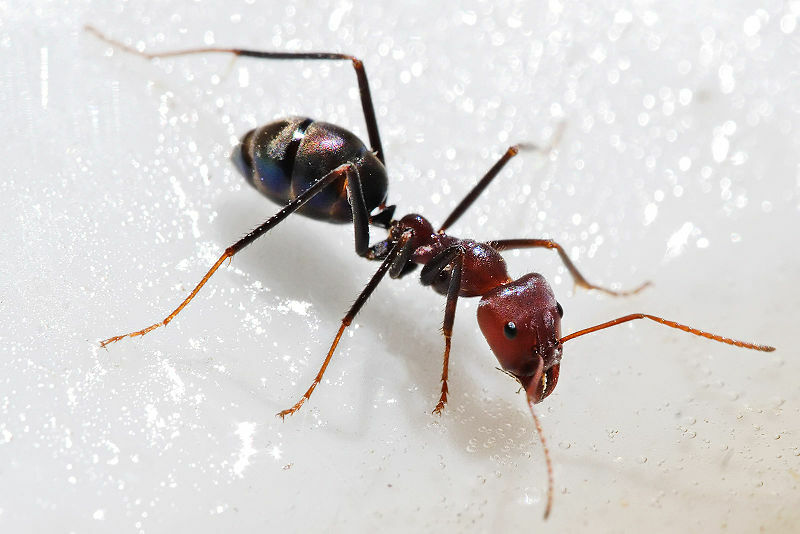 I tested my theory that this was clearly not a fire ant by showing it to a non-ant-person, Collin McMichael, a labmate of mine who works on caterpillars and aphids and happened to wander into the room at the right moment. 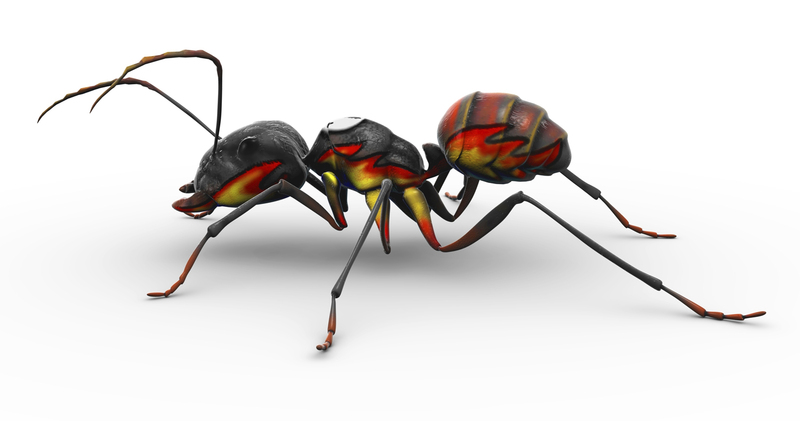 “That’s not a fire ant,” he said. So, I present to you, my collection of ‘Things That Are Not Fire Ants’, as brought to you by the pest control companies of America. Bonus: These are probably not fire ant nest mounds, since the funnel shape is acharacteristic, and more common in other genera such as odorous house ants and pyramid ants. 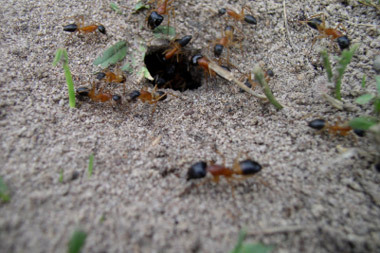 Fire ant mounds will usually be rounded (soil & weather permitting) since they build tunnels up into the mound itself to use for thermoregulating their brood. 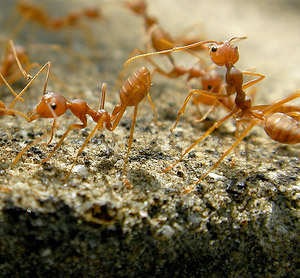 See also below, this company has about four different ants pictured as “fire ants.” It’s impressive. Also, since these are from a list of “common pests of Long Island” and there are no fire ants in New York I really just have no idea what they’re talking about. 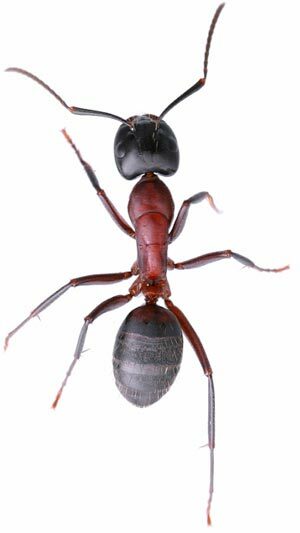 I’d give them the benefit of the doubt and generously assume they’re using “fire ant” to refer to a whole different type of ant all together (or, you know, four different types) but the biological description is pretty clearly trying to describe S. invicta. Plus, special mention to non-pest control company, the American Academy of Allergy, Asthma & Immunology. 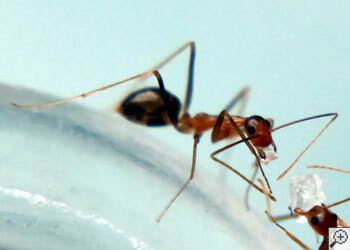 Actually, all the fire ant pictures at PestMall are pretty suspicious but this one’s far and away the best. Look closely. 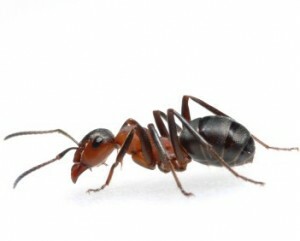 That’s not a fire ant. 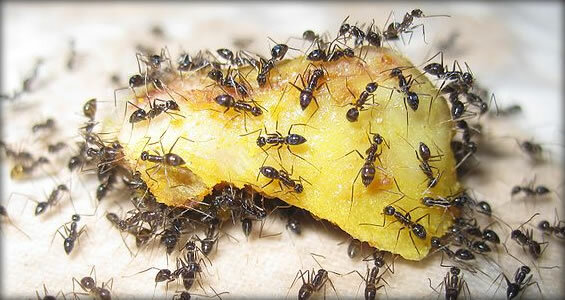 That’s not even an ant. 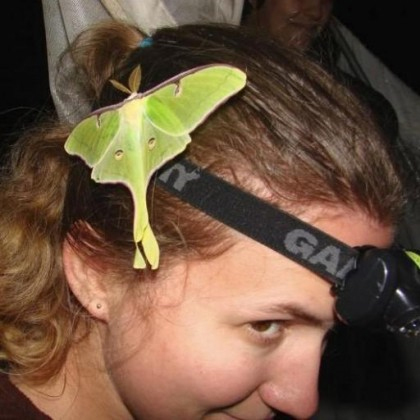 In fact, let’s hop right out of Hymenoptera altogether. 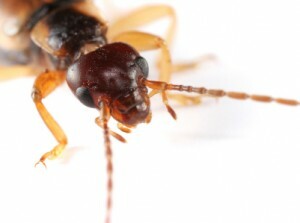 That, my friends, is an earwig. 10 points and a cookie to anyone who uses Alex Wild’s formula to calculate the Taxonomy Fail Index. 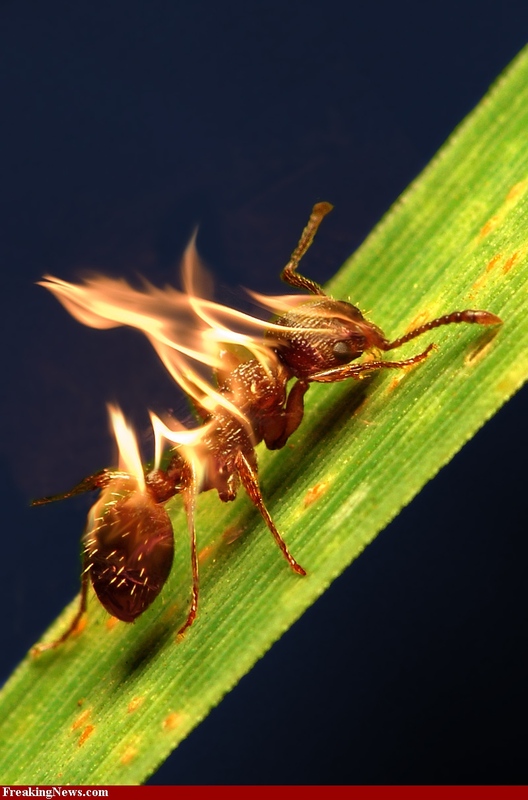 Wow…amazing..you would think they’d know a thing or two about fire ants :D.
Love the last pic..clearly a fire ant. Ha! 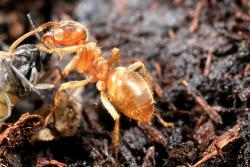 Not only is Frontline’s “Fire Ant” wrong, so are the other two ants. They’re 0 for 3. And years later Frontline *finally* updates their ant page. 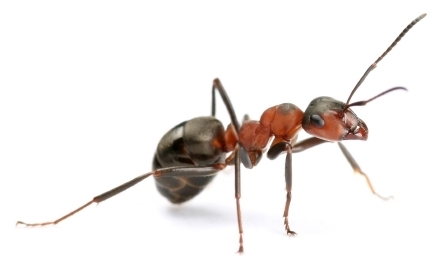 Did they get permission to use your Pheidole image? Couple of the others look familiar as well. 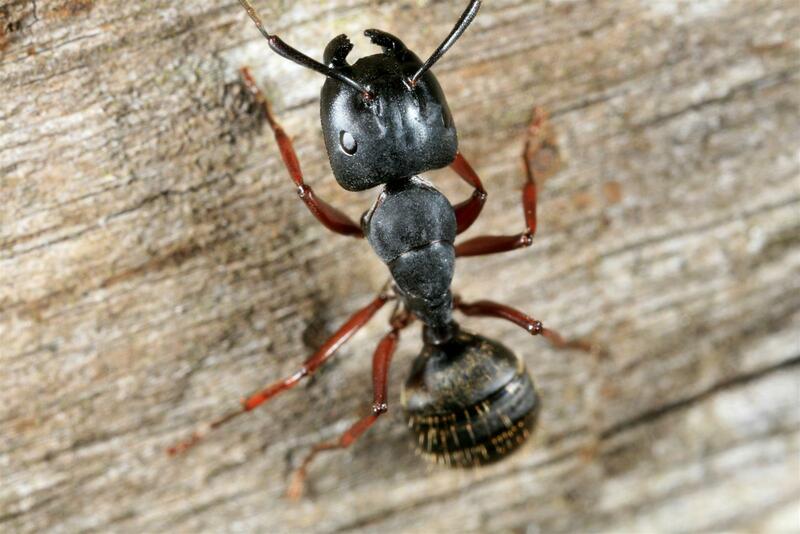 Oh my, the last is even better than one decapitated by a phorid, my previous favourite fire ant. Could be tricky calculating a taxonomic fail given there seems to be a fair amount of argument about dermapteran relationships, but the split would have to be pretty close to the base of the Neoptera. I’m late to the show, but this is hilarious! 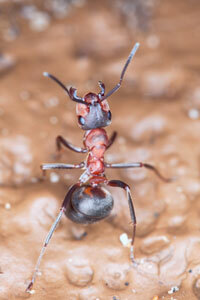 Hey, we are reading Tschinkel’s Fire Ants tome over at my blog. Any interest in joining the discussion? Wow! 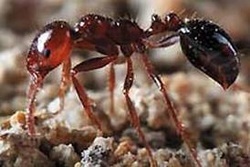 This is mind blowing, especially when you consider the amount of harm that can be accomplished when these wrong identifications may trigger pesticide applications that could have cascading effects that actually open habitat for fire ants (or whatever). 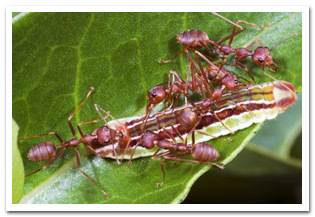 One of the first steps of integrated pest management is to correctly identify your pest..